Wow – It’s been a busy week! I can’t wait to see how everyone’s challenge is going, hopefully you have made some good progress on your goal! 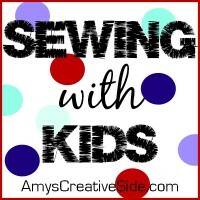 I was glad to see so many of you excited about stitching with your kids last week. We had a lot of fun, and the kids all hung their stitchery up on the wall in their rooms. 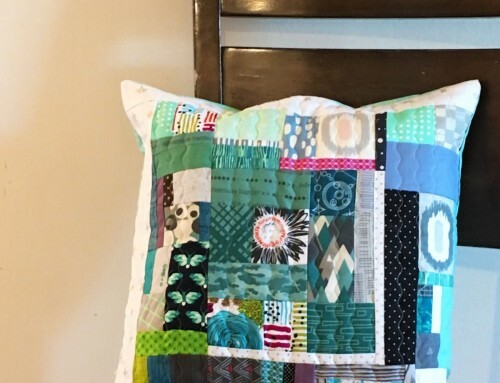 Ideally we would make a pillow, or quilt block with them…I’ll have to see about pulling them together for a fun project later, for now they are enjoying them. 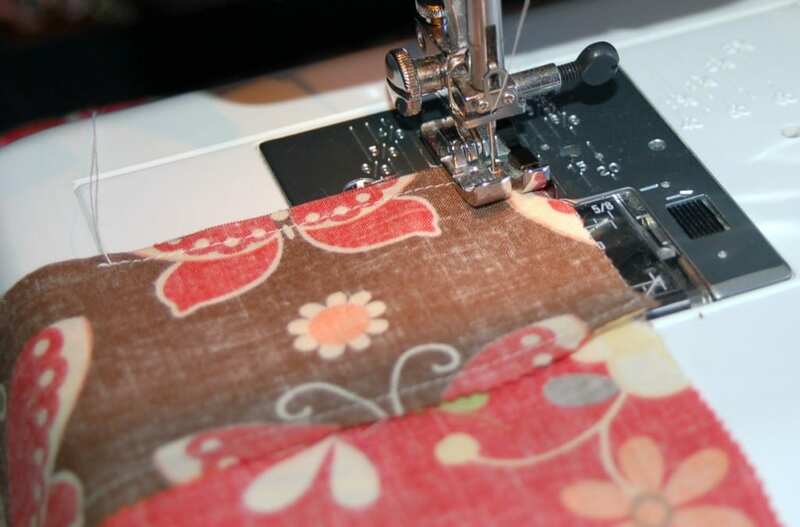 This week, I moved to the sewing machine, and started with the child that wasn’t in the tub, or busy playing – Sophia. 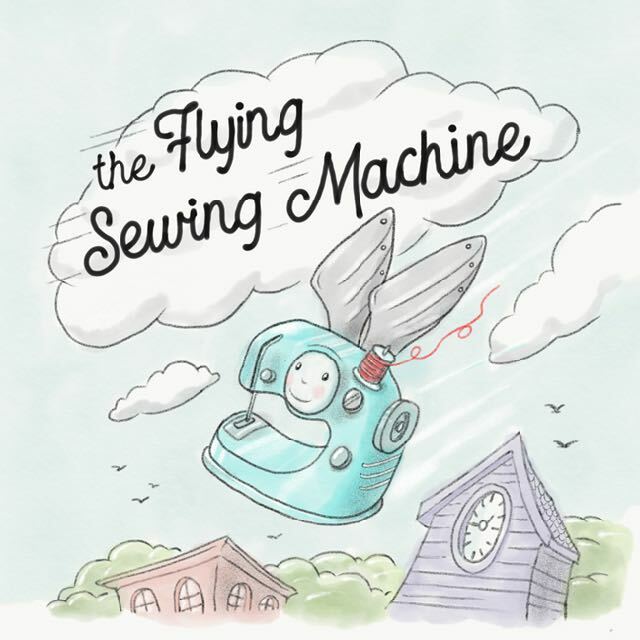 Sophia (6 years old) jumped at the chance to sew on the machine, and “wants to sew every day!” – I didn’t realize how contagious sewing was! To begin, I found some left over pieces, already cut from a Layer Cake. I showed Sophia how to use the Lapel Stick, then handed it to her to do the next set. We put a little dab at each end, and in the middle. Pins are hard for little hands to manipulate without poking their fingers, so I was excited to try Lapel Stick with her. 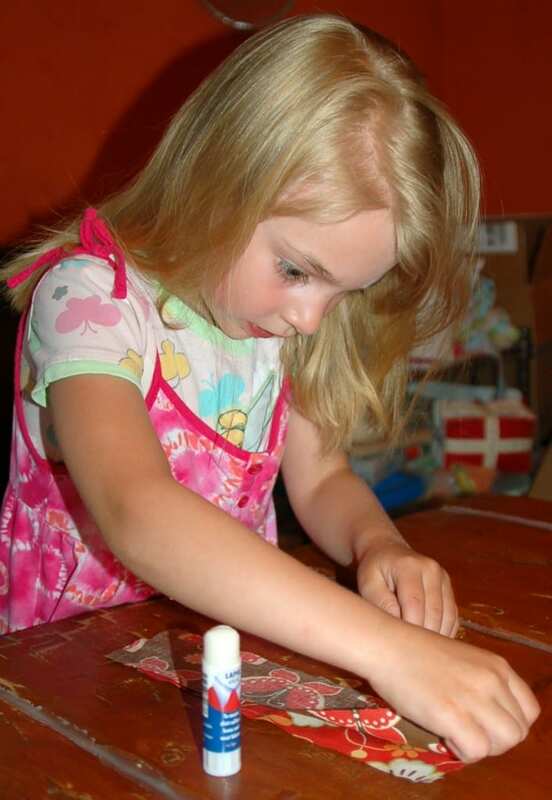 And of course it isn’t difficult for her – just like using a glue stick! She carefully matched up the edges, and stuck the layers together. Check out that intensity! Then remember that you will probably have to point these out a few times for them to sink in. I started the first one for her with holding the threads and letting her get a feel for the pedal for a few stitches, then passed it off. She had all the details down, quick! And having used Lapel Stick, she didn’t have to stop and remove pins, and I wasn’t worried that things were getting off kilter. 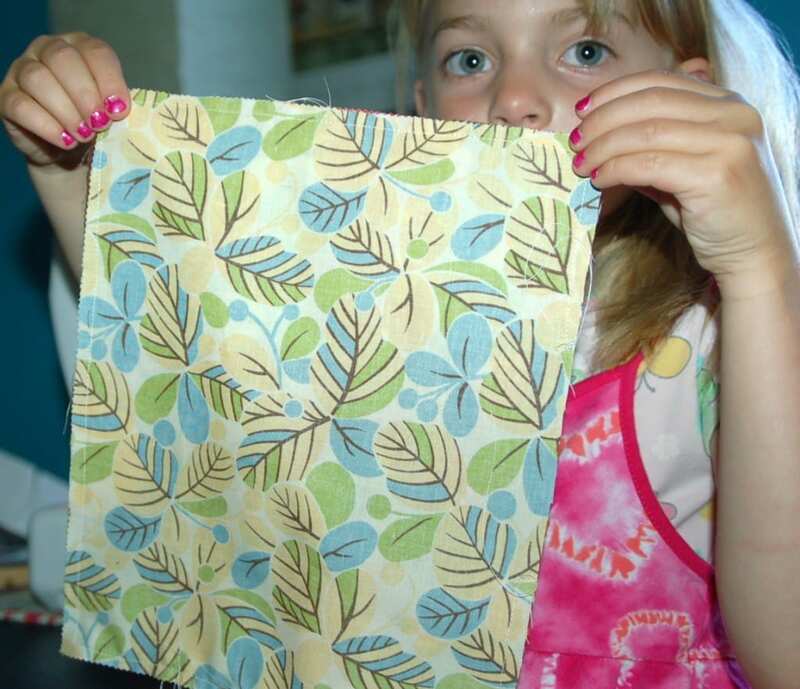 I started off without a serious plan, just thought we would practice sewing straight lines, after sewing two – she was ready to keep going, so we did! Thinking on the spot, we joined the strips. Then put a whole layer cake piece on for a back! 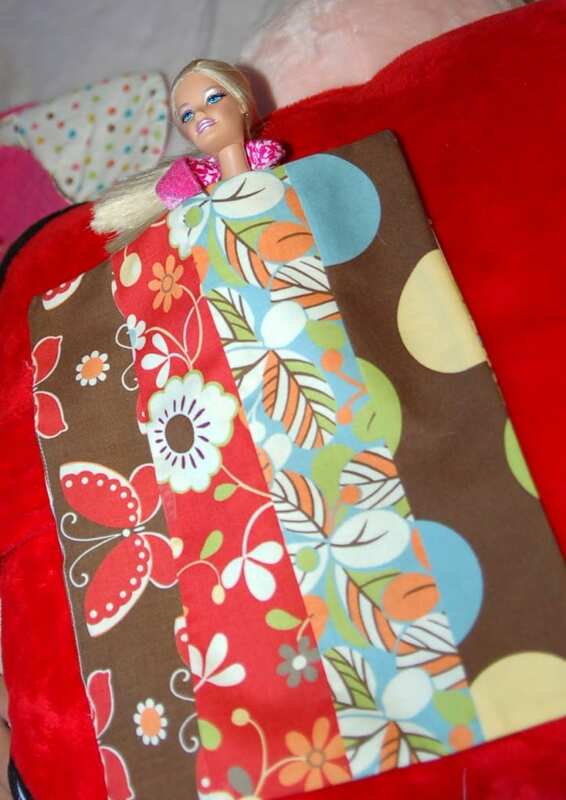 No batting just a lite Barbie blanket, is what it ended up being. We left a hole about 3″ on one side to turn it right side out, and she got to practice turning the corners too! She’s proud and excited to see it almost finished! She turned it right side out, and I showed her how to push out the corners with my purple thang. I did all the ironing – we will tackle that when she is a bit older. I think Ella was 8 or 9 when she started ironing – which is handy when I’m piecing for a deadline and she feels like helping! Finally we stitched the opening, and had a complete project. Of course, now I see he importance of having a finished project instead of just having some practice time. For Sophia, being able to take the blanket upstairs and put it to use right away was so fun! So plan it out, or let your child help you decide the right path for the project. Just have fun sewing together!! Barbie is nice and warm. 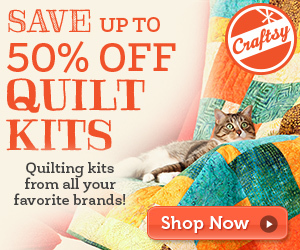 Are you ready to sit your child down to the sewing machine? Let me know how it goes! Wow Amy!! you make it look so easy. I have to try teaching the skill to my daughters. The glue stick is such a great idea. What a fun project. 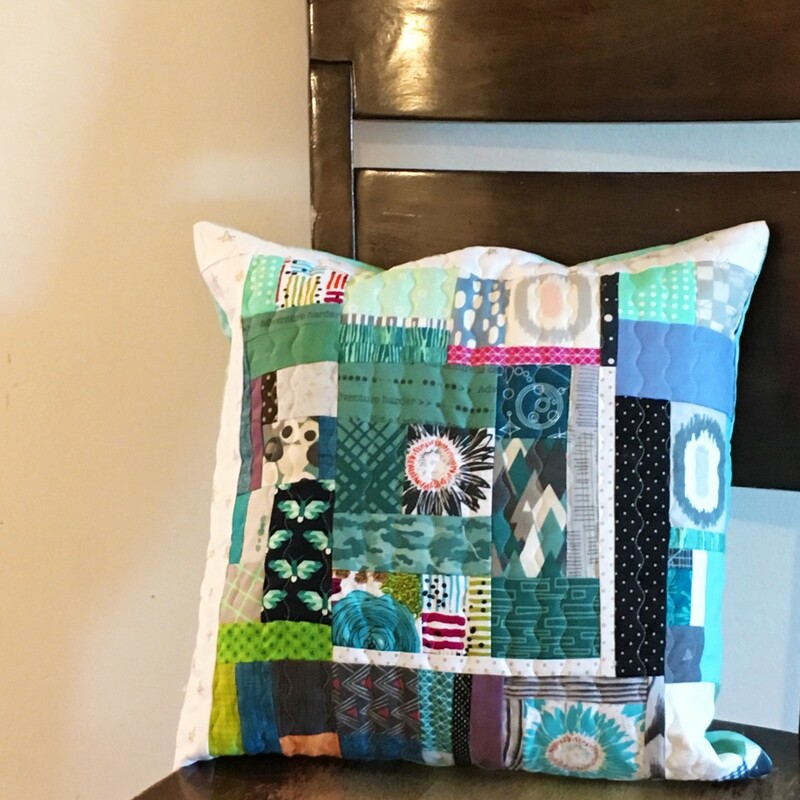 I made a pillow with my son because he wanted to sew something earlier in the year before he turned 5. I don’t think he was to impressed he hasn’t wanted to sew since :/ If he asks though I will find a project for him. I really like the idea of using the glue stick instead of pins. 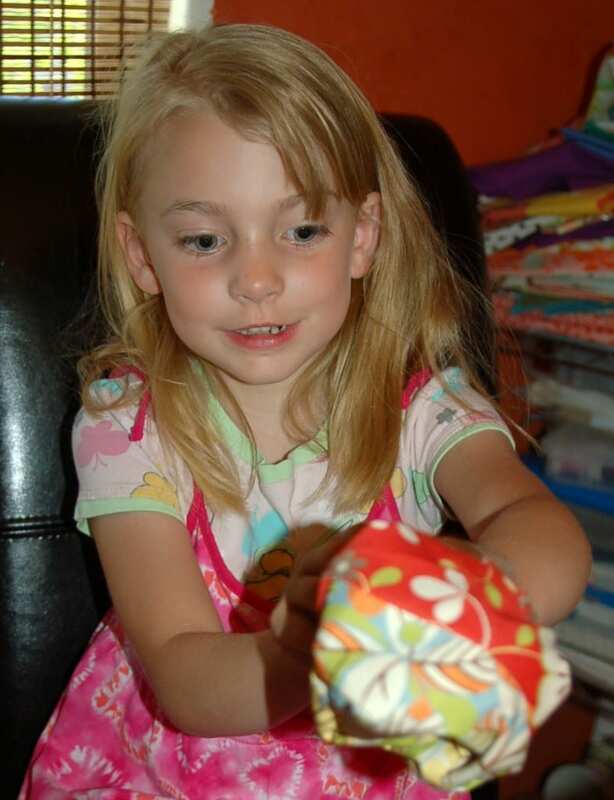 My granddaughter is 4 and loves to play with the fabrics in my sewing room. 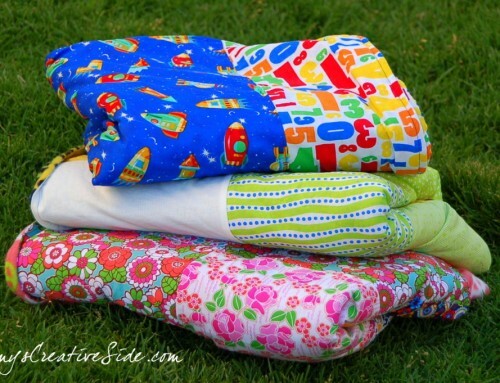 Great tips on letting a little one sew, I can see Barbie doll blankets in our future. My favorite photo is Sophia at the sewing machine. I think I might try using lapel stick instead of pins! This is wonderful!!! 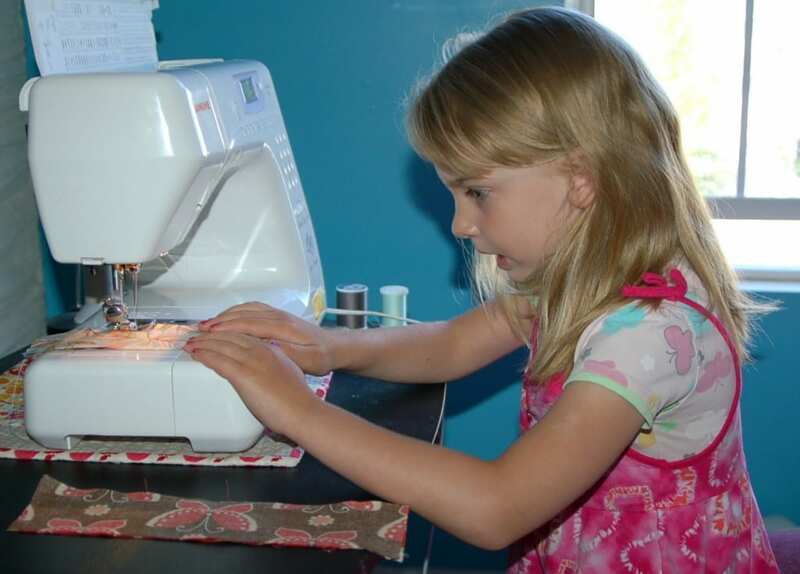 I’m planning on teaching my girl to sew this summer (she’s a little older – 9). I think it will be good for her. I’ve taught her to knit, she has woven with me and we’re starting to work on a crochet granny square afghan for her room in rainbow colours. So now I’m excited to try and teach her something at the sewing machine. Your post totally inspired me. Oh my goodness, this reminds me so much of when my two daughters were little and played with Barbies!! I taught them how to sew little things for their dolls just like the blanket. They still have all of their Barbies, of course tucked away some where because they are now 18 and 20 years old! Thank you for sharing. SO CUTE. YES, VERY INTENSE, LOVE IT.!!!! So sweet! Nice she has a finished project to show off too. I started sewing when I was 11 I think, not much. Grandma and I made a bear one summer when I was 12 I think – good memories! I think of her every time I sit down to sew, both of my sewing machines where grandmas. Oh my word she is beautiful and seeing her at the machine is just precious. 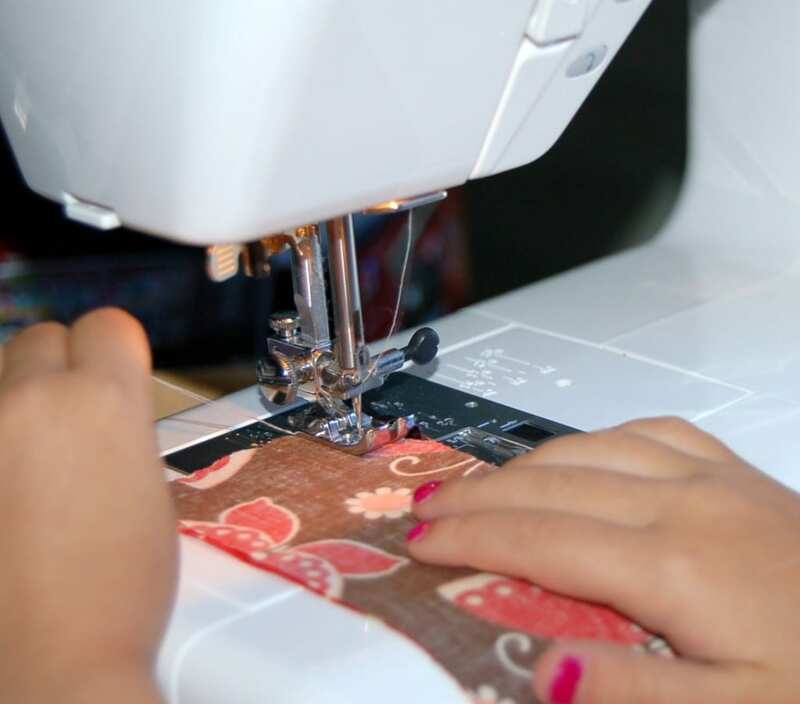 I love when my boys sit on my lap and sew with me….they are so creative. She is absolutely adorable! And she looks so proud of what she’s accomplished. 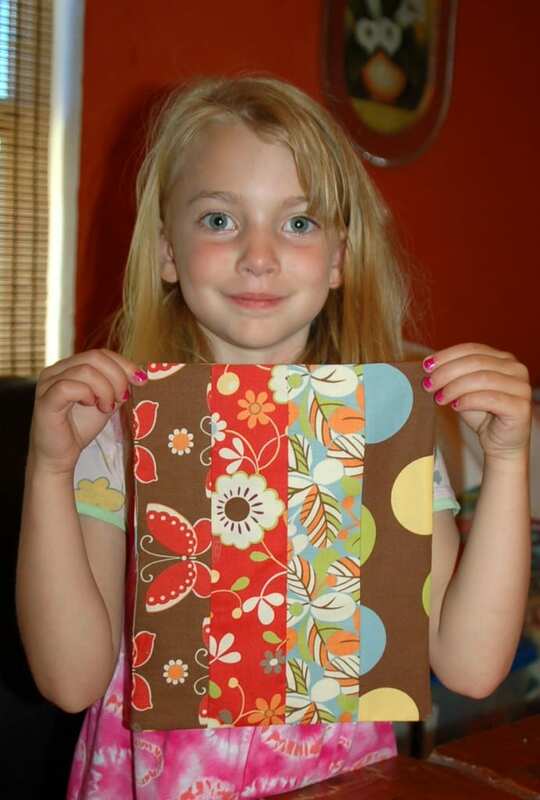 I love sewing with my granddaughter. She did a fantastic job and I see that she is SOOO proud of herself. What a great opportunity for her at such a young age! Oh, how cute. It is so much fun to help youngsters create! My 2 daughters (5 and 7) and 2 of their friends (4 and 7) sewed the last 2 days. 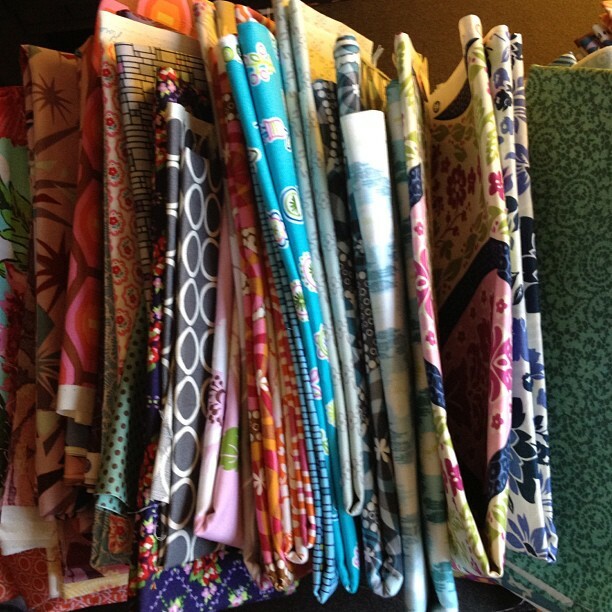 I had scrap fabrics left from various projects that they went through. They all made little hand bags and 2 made “quilts”. All were hand sewn. 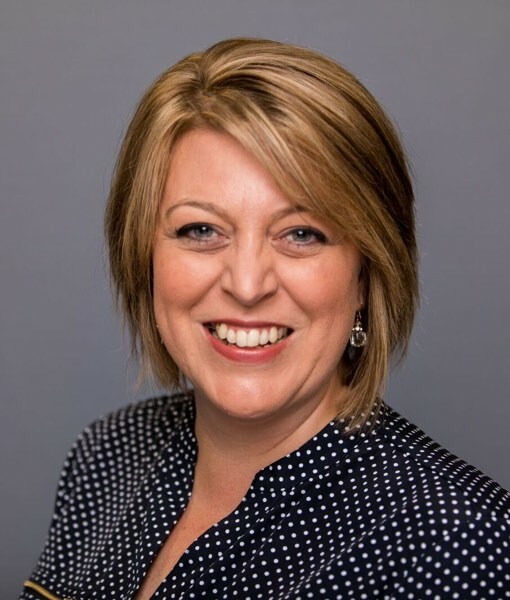 Did all their own cutting–who new that school scissors were so sharp? No time for pictures. Lots of knot tying and needle threading. They all were thrilled with their finished projects. I just hope they stay together long enough for them to enjoy. All are ready to go again. Need to figure out how to work on building skills. Love the lapel stick idea. 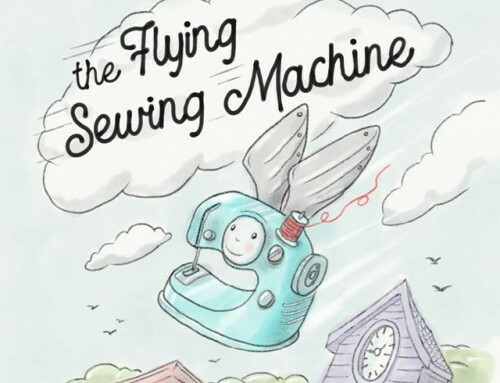 Did you use lined paper in the sewing machine to teach Sophie to line up and let her feel the paper being pulled into the machine? I’ve heard pros and cons using and wondered if you tried. Thanks for sharing! 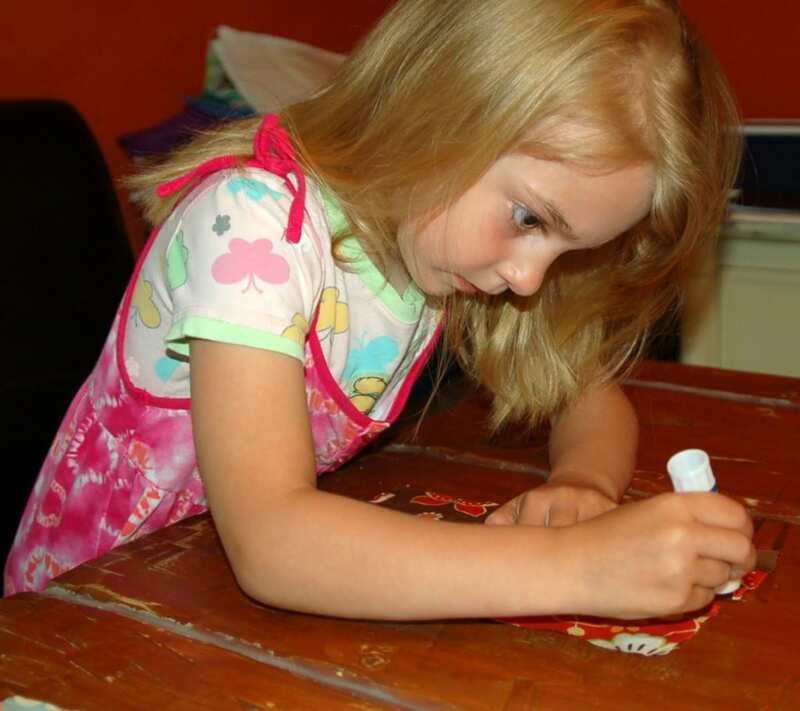 I love teaching children to sew. I was a special education teacher for 13 years, students emotional and behavior problems. 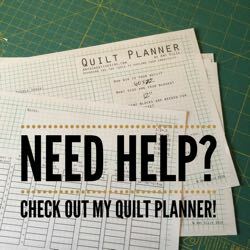 I would teach math using their hands: quilting, dress making, tiling, wood working, whatever they were interested in. For two years we did comission work for staff and friends and made quilts for money (we had a great end of the year party). Then I went to work at a children’s only psych hospital and taught them sewing. 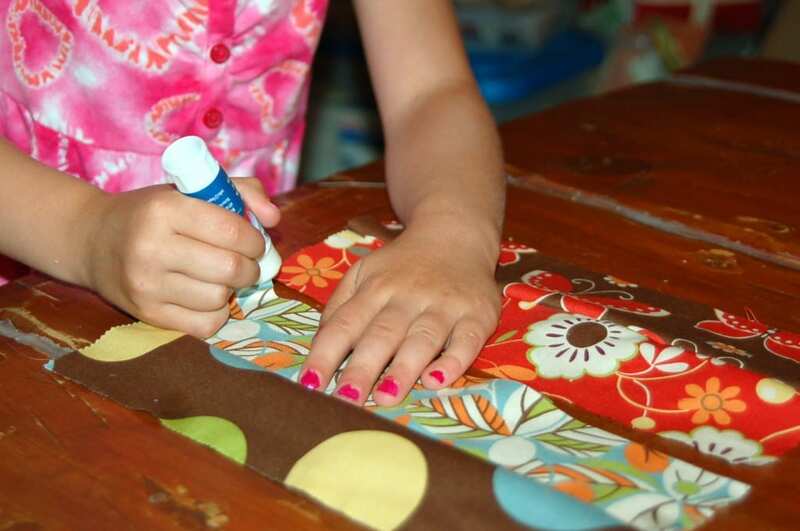 Oh, my gosh – I’ve been teaching kids to sew for 6 years and I’ve never thought of using a glue stick! Brilliant!! I’ve read all the comments to this posst, and am so pleased to see so many moms teaching their kids to sew, and the ones you inspired to try. You go, girls! I have a quilt project set up for my son which he engineered. 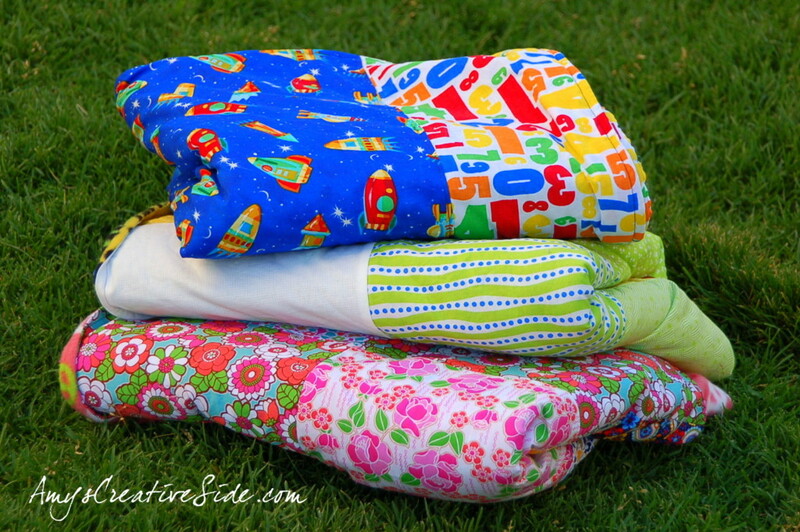 We are going to use this tutorial http://www.modernorganicfabrics.com/journal/2009/10/5/tutorial-the-3-2-1-throw-a-quick-easy-little-quilt.html. It’s got the pillowcase binding as well. I think the key to the success here is twofold–safety and curiosity. When we can channel their curiosity and help them safely complete a project, the results are magical.